Year end is a great time to pause and reflect and for many years I’ve done so by updating my annual plan. The first section – Where Am I? – measures goals against accomplishments. The primary goal for 2012 had been to secure a publisher for Lies Told In Silence. I failed. Well, actually, my agent and I failed. “I got sucked into all the characters right from the get go. The character development was fantastic. I loved how the women were very distant with each other but once they left high society Paris the walls came down. I liked the twists … and how you left us hanging at the end!! Can’t wait to read the next one. “..a wonderful evocation of Paris and the French countryside in the time before and during World War One. Helene is a sweet and charming character to root for. Yet I’m afraid that I wasn’t quite as swept away as I’d hoped to be by the story, which felt a bit quiet to me. Their comments feel like a tennis match where an easy lob is followed by a smashing return. Of course, publishers are skittish or downright afraid these days. A debut author is an investment – believe me, I get that – with uncertain payoff. So, what’s a writer supposed to do when faced with such conflicting opinions? How about (and I haven’t read the work in question, obviously, so this is a structural comment as opposed to a content one) writing a really slam in the face explosive first chapter and tacking it onto the front? Good idea … grab ’em by the you know what, right up front! TX for the suggestion. I like what Servetus said. Maybe rework the opening chapter? The thing is, these are TERRIFIC rejections (which sounds like an oxymoron, I know), but it means you are almost there. Keep going! What do you have to lose by self-publishing? I think that’s the real question to ponder, Victoria … although to do it properly requires the right professional support and a significant expenditure. Sounds like you would know about that! That’s what I’m thinking, Jane! I’d love to have people enjoy my novels regardless of how they get into the hands of readers. A short while ago you featured an interview with a writer (I think on your Facebook page) who said that during different drafting phases, he concentrates on a different aspects of the story, such as a particular character, a plot twist, a mood, tension. Perhaps if you re-draft LTIS with the view to strengthening Helene’s character and kick-starting the story, you will find this is a valuable use of your time. Don’t give up on LTIS! Also, Mr. LeRoy gave some great advice recently in how he enlists a group of dedicated Beta Readers who read his MS and provide valuable feedback. Don’t discount the Beta Reader! I totally understand your quandary here. What to do. I ended up self pubbing Vows of Revenge and have received the same responses from readers after gleaning the many rejections from editors. I’m not sorry I self pubbed either. Check it out at Amazon. Over the years, I believe the rejections I received-that said more than no thanks- truly taught me to take a second look at my work. And the working of the mss did make a difference. However, there comes a time that you have to realize this is your story and write it from your heart. I believe you have to create a hard eye for your work. ‘Writing for Emotional Impact’ by Karl Iglesias has truly changed how I look at what I write. Yes, it’s for script writers but it all applies to fiction. Even Donald Maass agrees in his latest book on writing. Emotional Impact in the 21st Century. ( I think that is the title. It’s close) I recommend both. Beautifully said, Judy. And thanks for the tip. (I just bought Maas’ book!) It’s something we can ALL benefit from! Thanks for all your comments this year, Rachel. I love the feedback and hope your writing is going well. Many thanks, Judy. Sounds like two great books about writing to add to my shelf. Warm wishes for 2013. During 2012, I took a number of online classes from Margie Lawson, a psychologist and writer who emphasizes reaching emotional depth and pacing among other things through deep editing. This really helped me achieve a greatly improved novel (as yet unpubbed, but nicely placed in a prestigious comp). Perhaps as you progress your new novel, you can also pass LTIS through Margie’s Fab 30 classes. You get knowledgeable critiques from both Margie ‘grads’ and Margie herself. http://www.margielawson.com. I’m taking a story structure class at present with Lisa Miller, through Margie’s writing training site. All the best. Never give up. Make LTIS the absolute best it can be before self-publishing. Hi Bronwen .. how wonderful of you to pass along Margie’s information. I’m going to check her out immediately!! 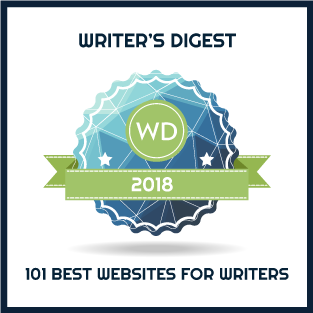 Let’s give a round of applause to “A Writer of History” Mary Tod for always putting together an amazing blog full of tips, insights, and interviews relevant to historical fiction and publishing. Let’s hope 2013 is a year full of success and achieving milestones and breaking new ground in Historical Fiction. How lovely to have your endorsement and support, Rachel. Truly appreciate it!! What can I say, Mary. You are in the same delemma (spelling?) as me! It is so frustrating!! Ive had years of it but have now come to the conclusion that although I would love to find a mainstream publisher and good distribution it is more important to me that I write. I am preparing myself to do the rounds this year of Australian agents and then some British publishers and I’m dreading it. I will have to toughen up I know that. But I’ve had some terrible rejections in the past and really know what you are going through. I would not give up on your first two. Pehaps just go back to writing the third for the time being. I’ve self published Tomaree (my fourth after a hell of a lo of rejections, no agent) and a friend published Crossing Paths. I’m now ready to do the rounds again. Keep your chin up. You are not alone! Thanks for sharing your journey, Debbie. It’s very encouraging to hear what others like you are doing. I agree with your sentiment on the importance of writing – I just love being in that creative space with my characters. It’s like taking a happy pill!! It’s a bit like learning what to take to heart from your writing/critique group: If seven out of ten say the opening seems too slow, there may be something there. But I’m not sure taking on a fast paced new opening chapter is the answer. Each writer has a unique voice and if you fabricate a chapter just to get an editor’s attention, you risk making the rest of the book seem out of place. Perhaps a revision of your chapter, a tighter, closer edit – in your own voice and style- is what’s needed. And I think the key words there are “in your own style and voice” Not everyone writes in a knock-em down, fast paced voice. We (first time writers ) need to learn how to trust our own writing. by the way, about self-publishing, you are already over half way there. You have a strong web presence, a blog, experience in writing . . . The biggest challenge is connecting with readers and I personally don’t think a big publishing house can do that better. Yes, it is nice to see your book on the shelf of a bookstore, but if no one comes looking for it it won’t matter. You would still have to expend a lot of self promotional effort on your own. And – If your book doesn’t meet sale expectations by six months or less, you have no recourse, no contract for a second book And – you no longer have your e – book rights. Great thoughts and encouragement, Judith. Regarding the marketing and promotion, I’m reading up on that right now. The good news is that I have a sales and marketing background which just might help! I also have kids who are savvy in today’s marketing world 🙂 Just downloaded Joel Friedlander’s 10 Things You Need to Know about Self-Publishing. Joel has a great blog called The Book Designer. Next step is to build a plan. Oh Mary, how frustrating. But I still believe there is a place for so called “quiet” novels. I agree, Downith. And none of my readers called it ‘quiet’!! Well, there you go. And I would say listen to the readers. It’s a very interesting disparity there. You’ve got to remember, editors have to be picky, as you pointed out, the traditional publishing industry is very cautious at the moment with all the new waves (though there are arguments they need to leap in with more abandon, though let’s not start a debate on that). I think what you need to ask is what your publishing/writing goals are. Are you looking to make a living out of writing or is it a side-line gig? Is it the prestige of traditional publishing which drives you or a different goal? Are you happy to wait a few more years for LTIS to be published, or do you need to see it there now? When you answer those questions you can probably gauge which of your options best suits you. On the positive side, one thing you can be sure of, if you have an agent who is actively representing you (as your agent appears to be since you’re getting plenty of editor responses) then you have one industry professional who believes in your book. Also, you’re getting personalised rejections, that is promising as far as rejections go, much better than the form letter ‘doesn’t suit our needs’ or the complete silence response. PS I’d buy it regardless of tradition or self published status. May I ask who the readers of your novel? Are they being totally objective in their response? I do think you have to take heart in the editors responses. All rejections are qualified rejections. I think you have to ask yourself why the editors were not swept away with the writing. The clues are there: from the observation of the matter-of-fact effect to the character analysis and the slowness of the beginning. I wonder if you could re-read your manuscript with a fresh eye but one which is mindful of the editors objections. How for example could you move the story forward quicker, is there too much dialogue or too little and how can you make the characters ‘whole’. Very good points, Linda. As it turns out, I have an editor looking at it as we speak. I hope she will identify issues like these. It’s hard to edit your own writing especially after doing five, six or more edits already! Glad you have given it to an editor to look at. Hopefully, the feedback given to you will enable you to move the novel to complettion – and a place in a publishing house list. that would be music to my ear, Linda! As I read through all the feedback from editors I thought, how concise–not cryptic and what I like to call “actionable.” And as I believe you to be a woman of business and data, I’m sure you’ll put it to good use. Wonderful link. Many thanks, Rachel. Have you considered putting LTIS aside and letting your agent try with Unravelled? Or has that already been done? My agent and I had no luck with my first novel that we tried to sell, but applied the feedback to the second we and were ultimately successful with that one. You have wonderful comments from the editors which, to me, suggest that you’re close. Regardless of what you choose, you should continue working on that third novel! Thanks for the encouragement, Jessica. I’m looking at all options at the moment and plan to schedule a conversation with my agent in the next few weeks to discuss. The editor I mentioned in Help Was Merely a Few Pixels Away – Jenny Quinlan – has reviewed Unravelled and is now reviewing Lies Told in Silence to give me her perspective on these two interconnected novels. My agent also had some suggestions for Unravelled. Now that I’ve heard from so many folks that the publisher feedback is actually ‘great news’, I’m feeling much better 🙂 Novel three is waiting in the wings while I figure out where to focus my efforts. I have a habit of being too impulsive and I’m trying to be more strategic about the next 3-6 months. I’ve been down the road you are on at present. I had some “positive” rejections from agents over a period of a year. I think at first that there was some substance in their reservations but after quite a bit of re-editing I felt I had corrected any obvious weaknesses. The response I had from readers was very positive indeed – and rather like your experience – tended to contradict a lot of what the agents said. One agent put it very well when she said that in the past my book would be of a standard to publish but that publishers were now being very cautious. After all the rejections I decided last summer to self publish Feud on Amazon. It was the easiest way to do it and I thought there was little to lose by doing so. All responses I have had since – without exception – have been great but you have to work very hard to ensure that your book is not completely invisible. This is very time consuming and the stigma of being self-published is very hard to shake off. The book has been out now for about four months and I am just starting to get some reviews – without which you are dead! I do not find self promotion easy so the whole process is a trial for me. You need to keep faith with your book, keep believing in it and every now and again you’ll get a great comment about it which spurs you on. Many thanks for your kind words of encouragement, Derek. Perhaps I can email you to discover more about your self-publishing experience. Dereck I am with you completely with you Rejections meant a great deal to me…at first. I learned a lot. A lot I needed to learn. But as I learned more about this craft, I began hitting that publishing wall of the Trads. I went selfpublishing with Vows of Revenge and I will never go back. Yes marketing is the pits. But I have met some wonderful people along the way. ie A writer of history and you for starters) So I guess we are all stuck in this muddy water having maybe too much fun. Reblogged this on Ah, this world of writing…yes.